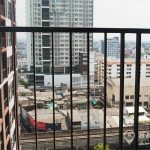 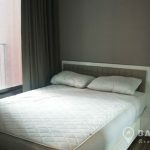 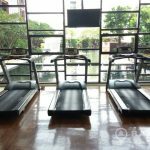 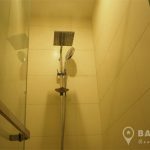 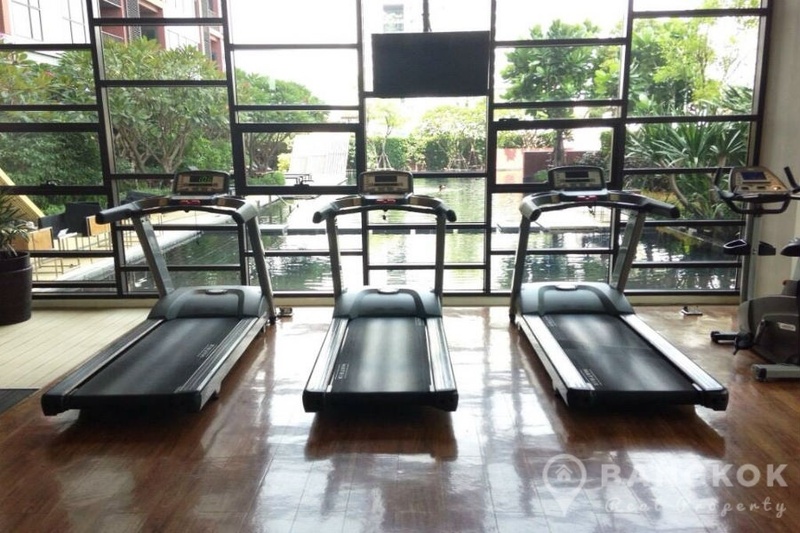 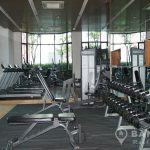 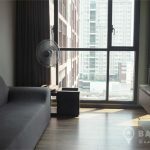 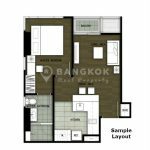 A modern, spacious, 1 bedroom condo is now available for sale at Wyne Sukhumvit superbly located on Sukhumvit Road just 5 minutes walk (400 Metres) from Phra Khanong BTS station. 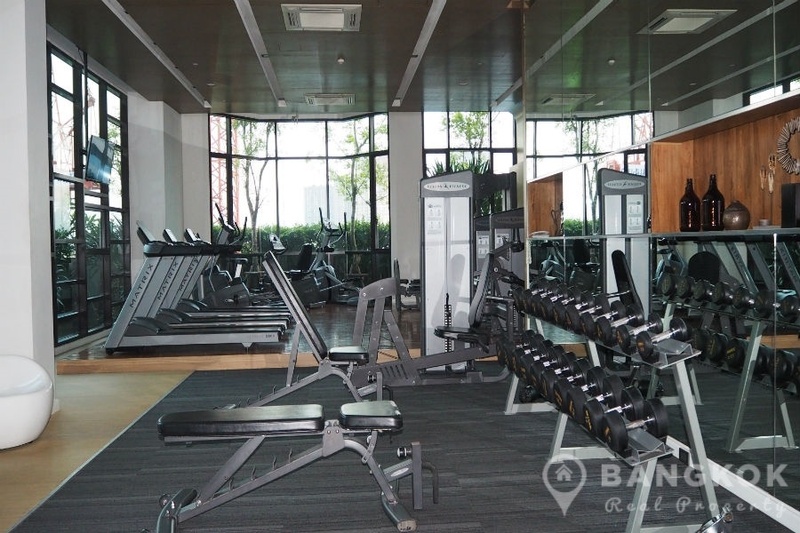 This modern high rise built in just 2013 by Sansiri offers great facilities and easy access to local amenities including W District Mall, Gateway Shopping Mall, Tesco Lotus, Century Movie Plaza Sukhumvit , Bangkok University and St Andrews International School (Sukhumvit 71). 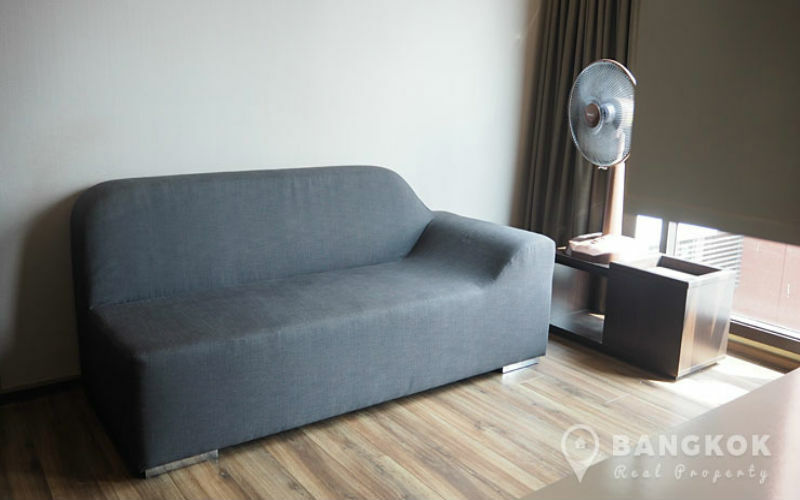 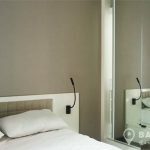 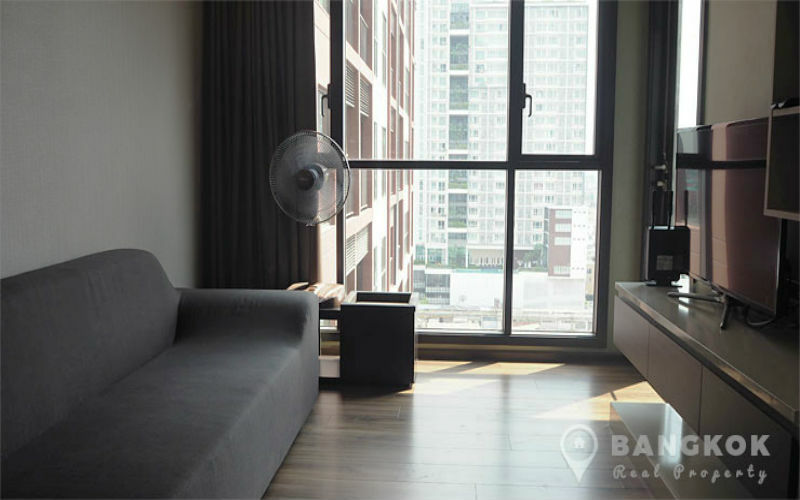 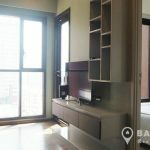 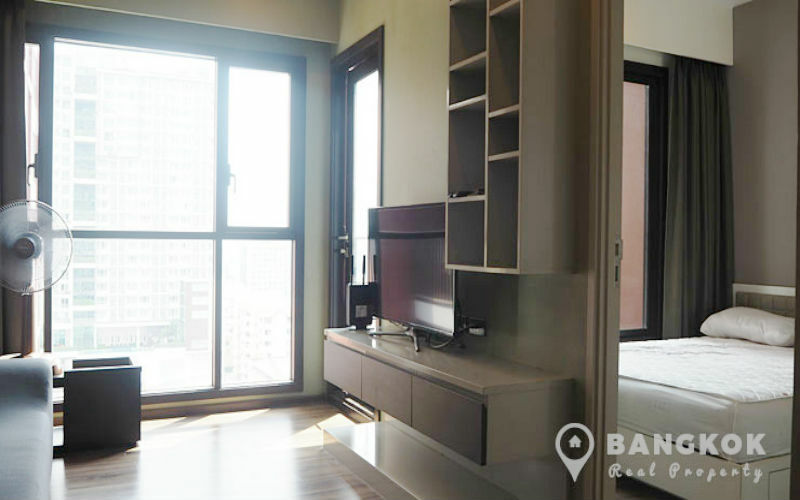 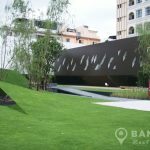 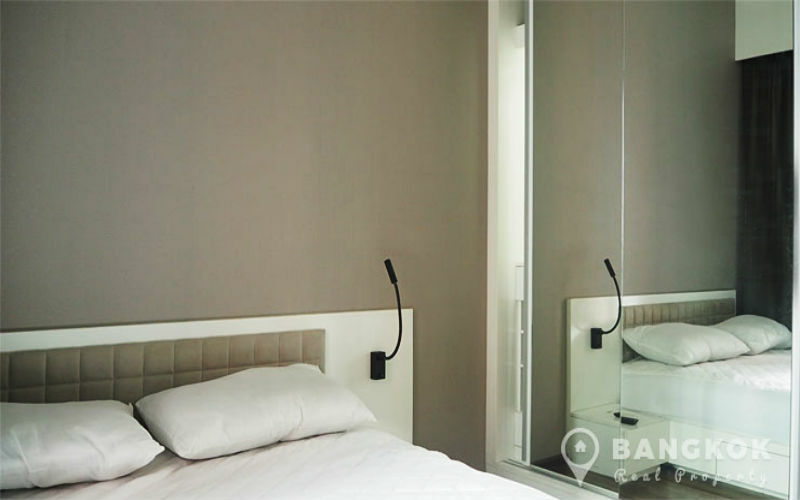 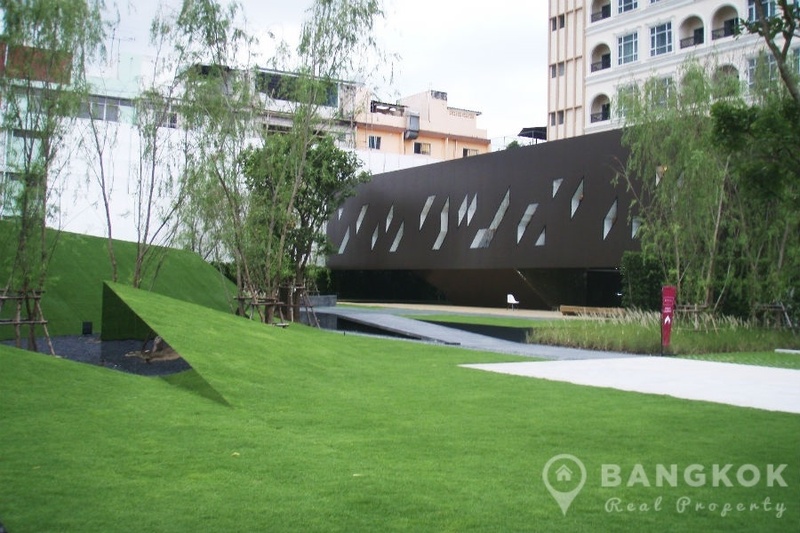 Situated on a mid floor of Wyne Sukhumvit, this modern condo has 1 double bedroom, 1 modern bathroom and 40 sq.m of living space with a lrage balcony with clear views over the city and the Chaophraya River. 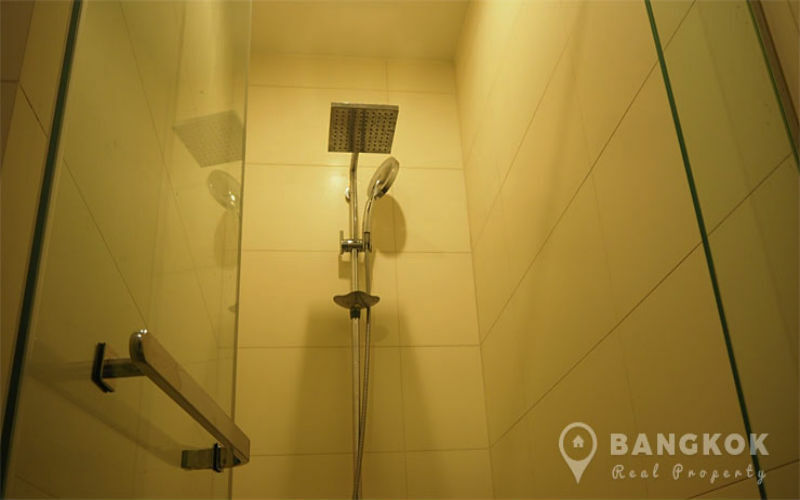 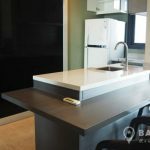 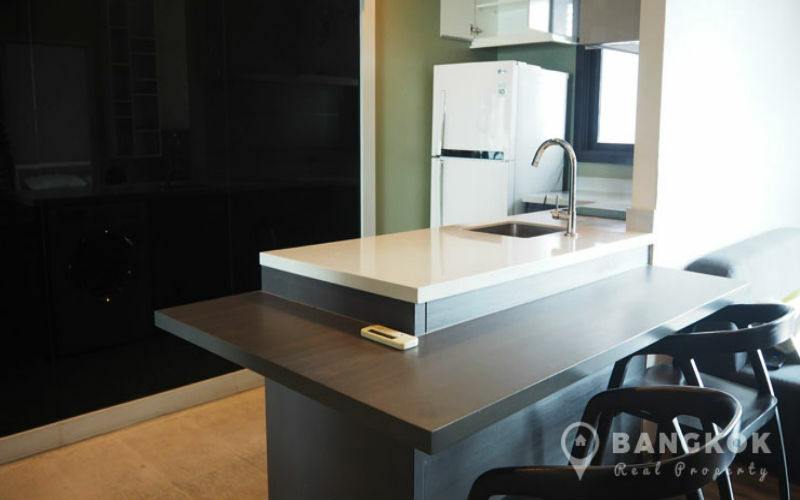 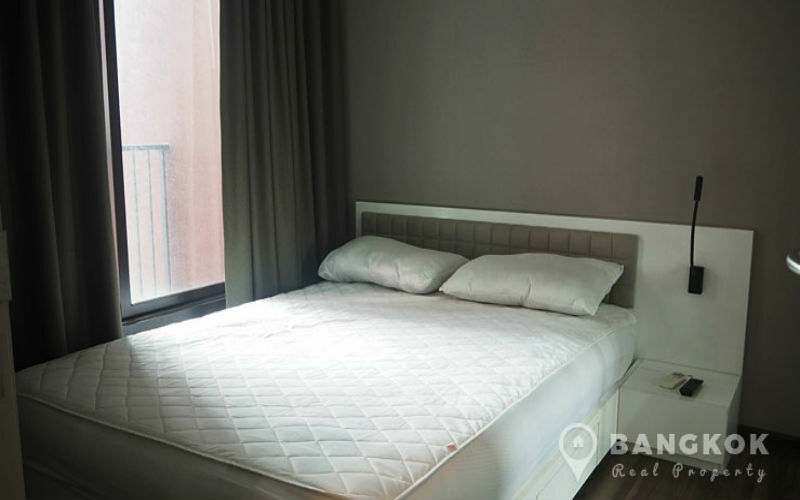 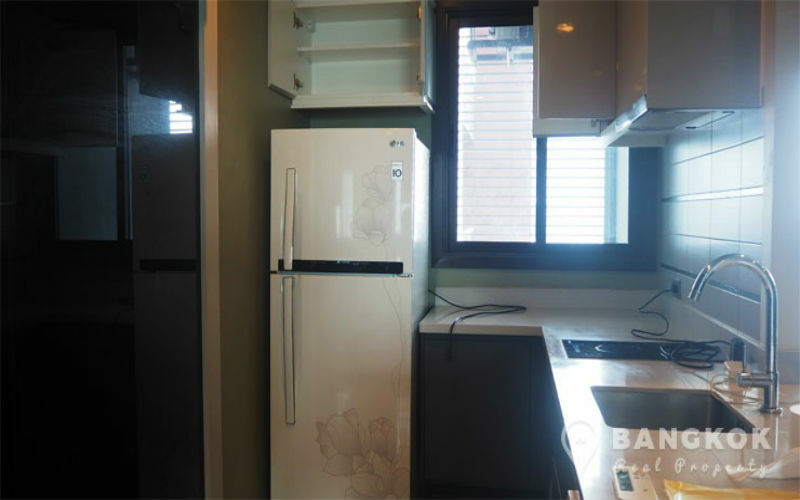 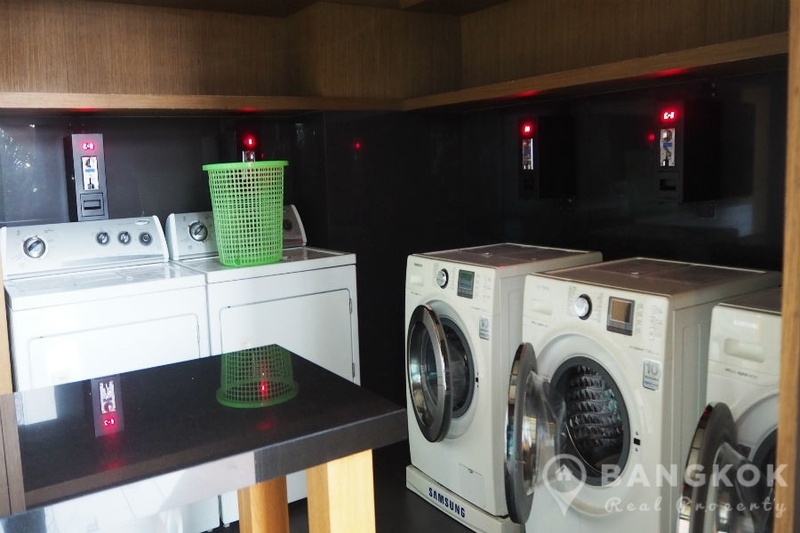 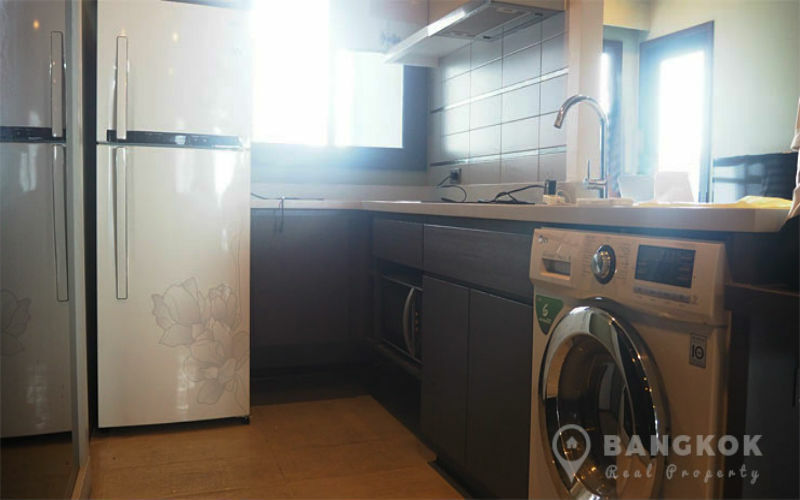 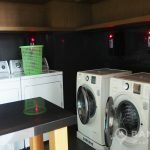 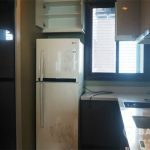 The property is being sold fully furnished with its current tenant paying ฿18,000 THB per month. 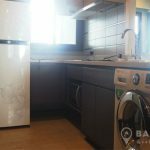 The unit has an airy open plan livingroom – kitchen with 42 ” LCD TV, the unit has extensive built storage and modern kitchen with electric hob & extractor fan, washer/dryer (front loading), large fridge-freezer and microwave. 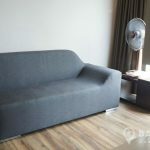 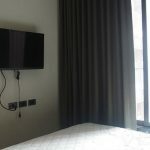 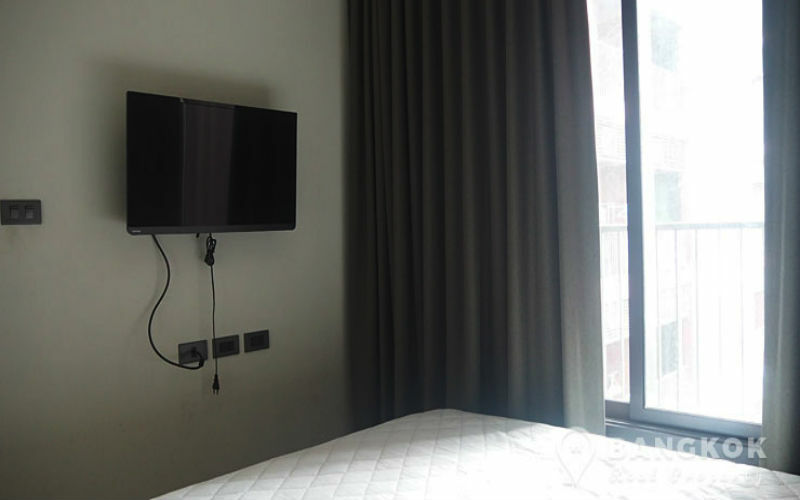 The livingroom is well furnished with large LCD TV, the double bedroom has excellent built in wardrobes and a wall mounted LCD 40″TV, the bathroom has a power shower unit. 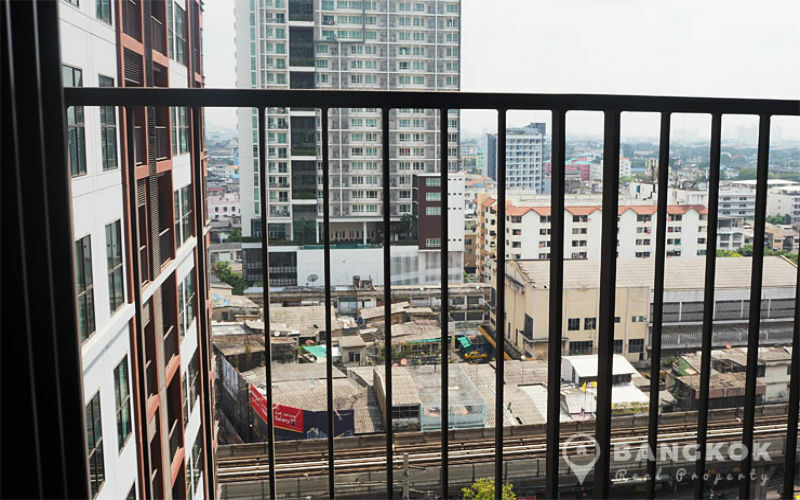 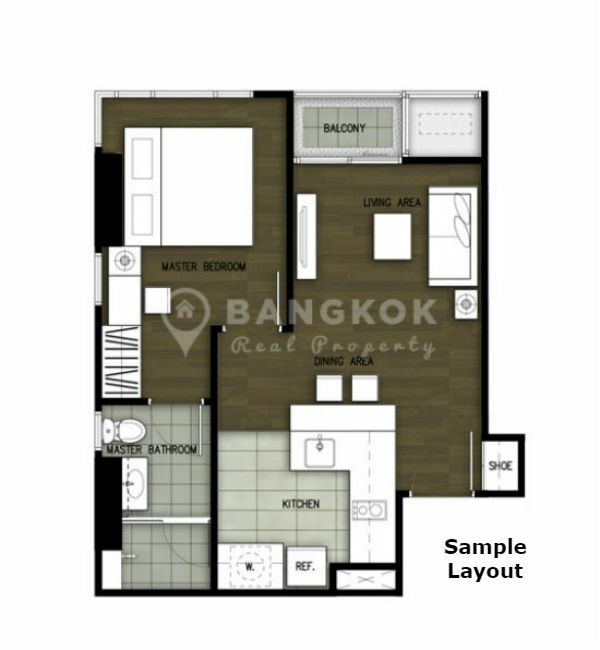 Wyne Sukhumvit is a condominium project, located on Sukhumvit Road just 5 minutes walk from Phra Khanong BTS station. 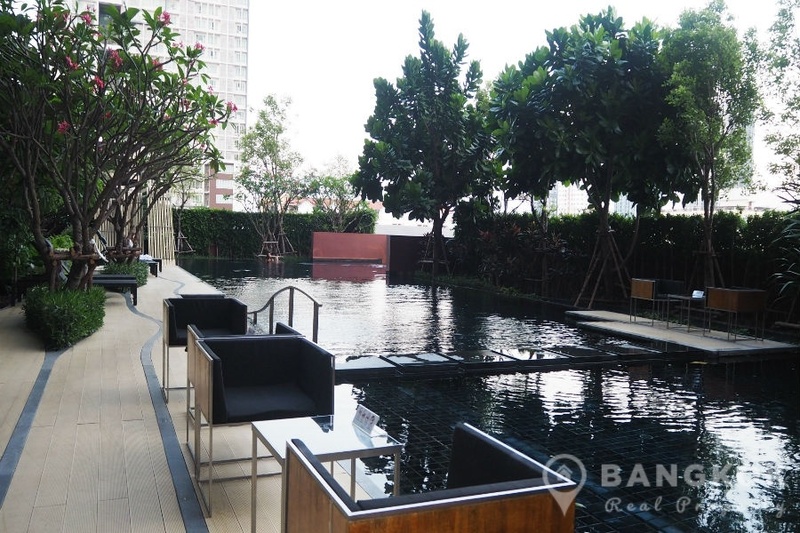 Developed by Sansiri, Wyne Sukhumvit was completed in 2013 and this high rise project comprises of a single building with 31 floors with 460 units, a mix of 1 and 2 bedroom units.